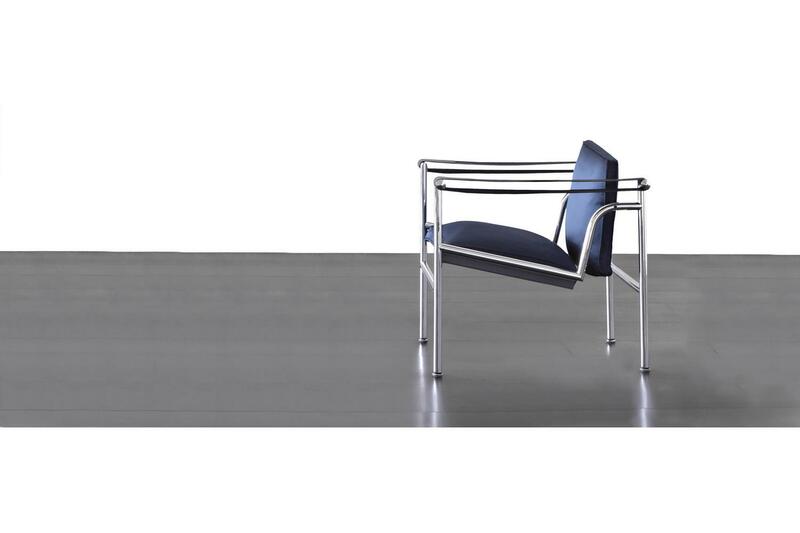 Armchair with structure in polished trivalent chrome plated (CR3) steel. Padded seat and backrest in polyurethane. The armrests are wider at the front and tapered towards the back. 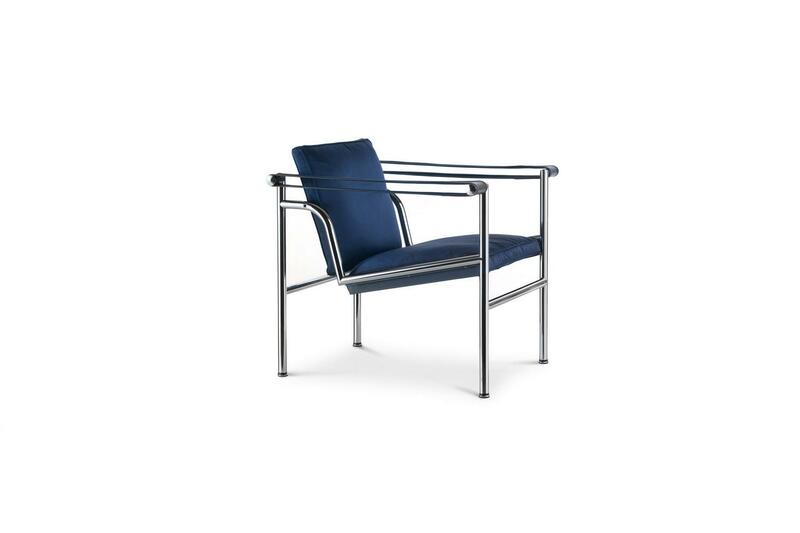 In this version of the sling chair, designed in 1928 for the Villa Church a Ville-d'Avray, the seat and backrest were padded to meet the client's request for maximum comfort. Also in 1928, a similar padded model was created for the art gallery of collector Raoul La Roche. These first prototypes were used to define more accurately the structure of the 1929 model for the Salon d'Automne.